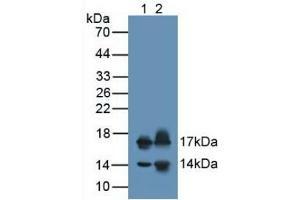 Western blot analysis of (1) Rat Heart Tissue and (2) Rat Testis Tissue. 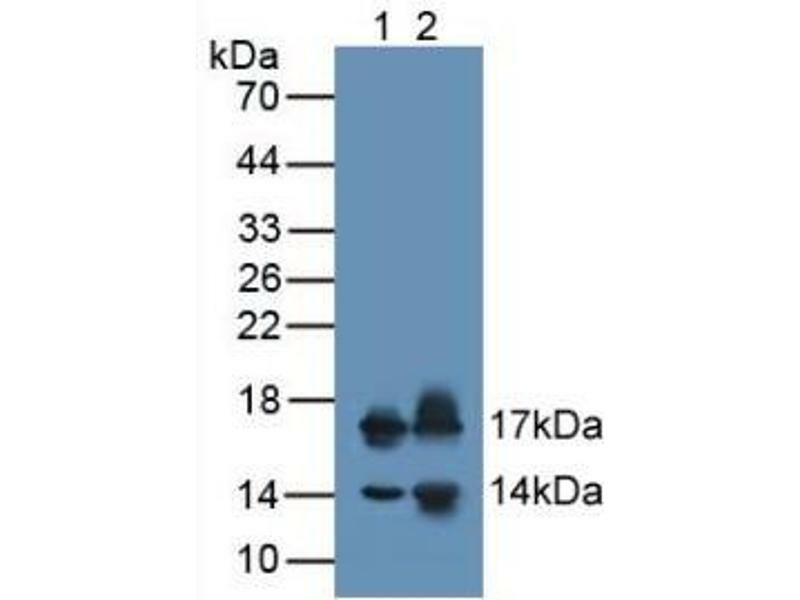 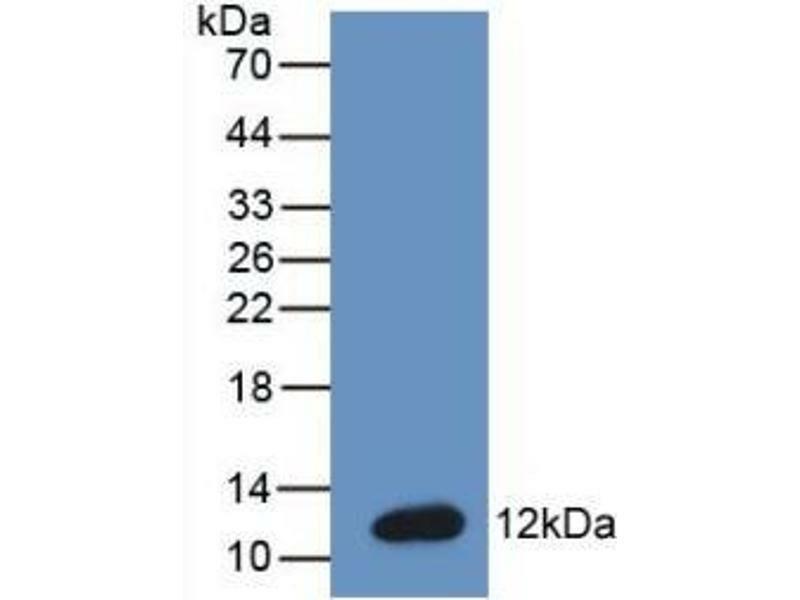 Western blot analysis of recombinant Mouse BNP. 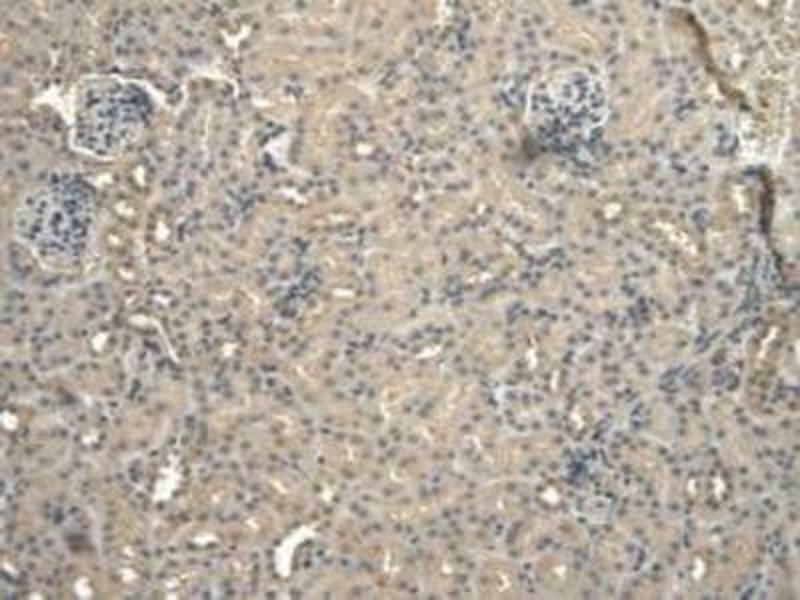 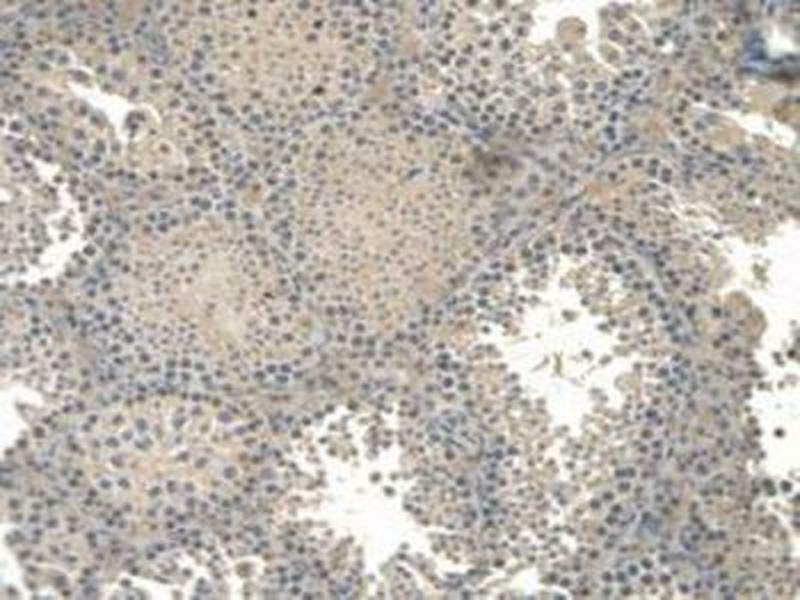 IHC-P analysis of Mouse Testis Tissue, with DAB staining. 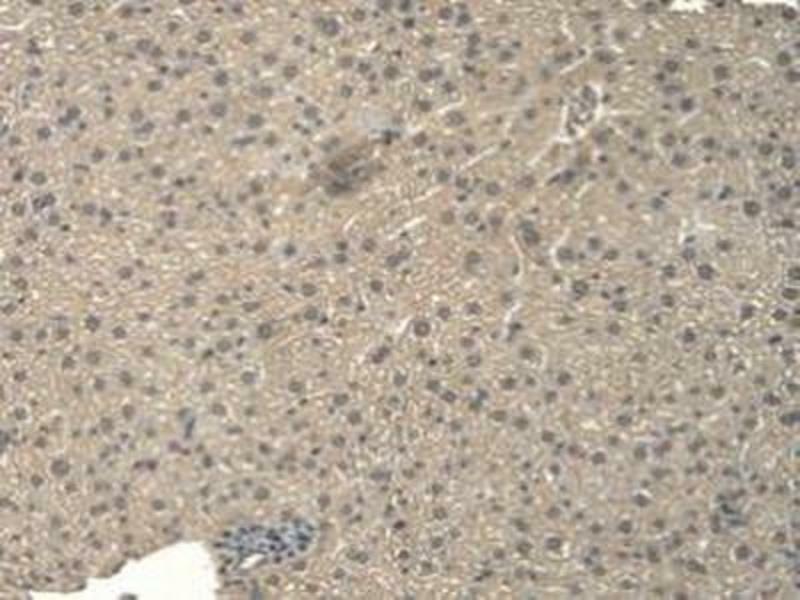 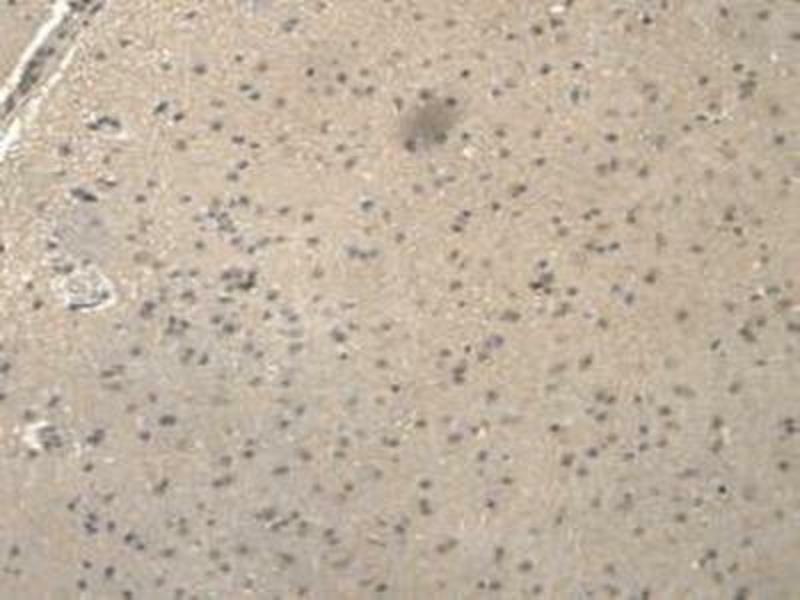 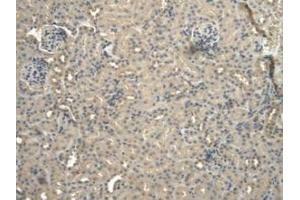 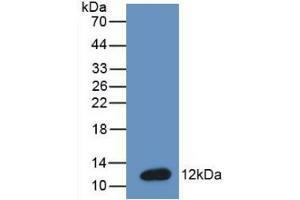 IHC-P analysis of Mouse Liver Tissue, with DAB staining. 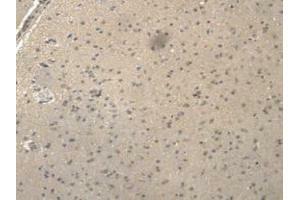 IHC-P analysis of Mouse Brain Tissue, with DAB staining. 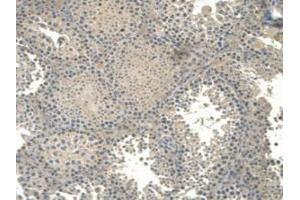 IHC-P analysis of Mouse Kidney Tissue, with DAB staining.